Simple to Install: This under cabinet stem rack come fully assembled and ready to mount to help you conserve space in your kitchen. The rack hangs 1 ¼" below the cabinet sizing 17" long and 13.5" deep. You can store up to 32 stemmed glasses with ease. 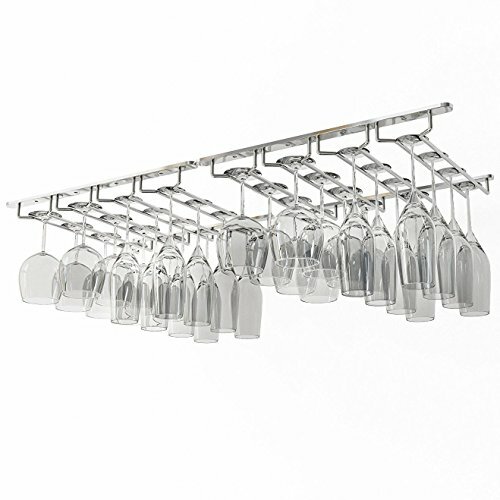 Holds Up to 32 Glasses: This rack looks great and keeps your stemware ready to go for impromptu gatherings. Depending on the style of the glassware, you can store up to 32 glasses with a base up to 3 ½ inches.